DCNC BearingBlock for 16mm Ballscrew | DamenCNC B.V. Fixed bearing which can be used in combination with ISEL 16mm Ballscrews. 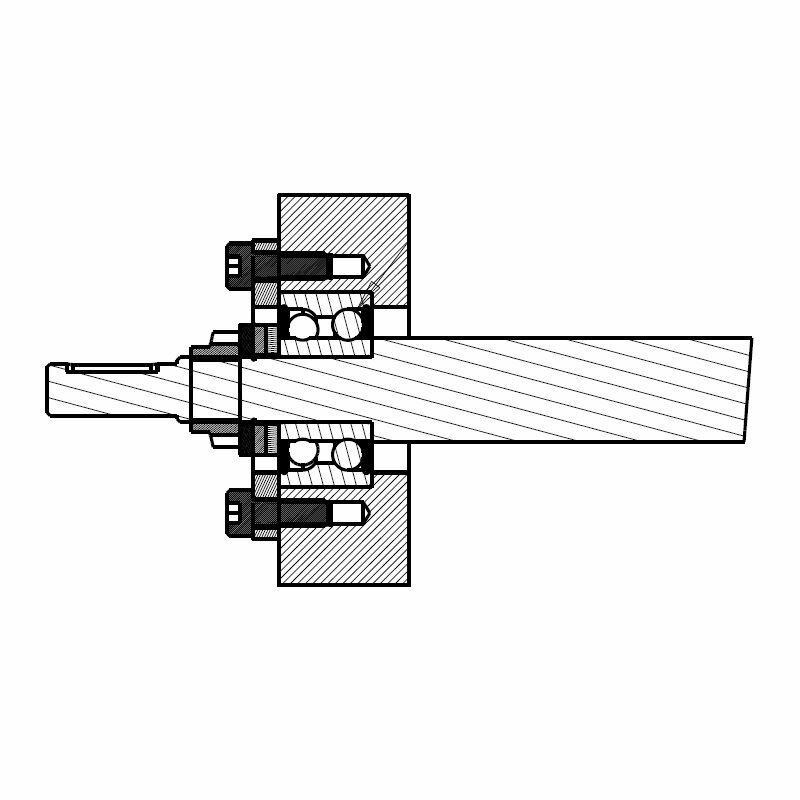 It can take axial and radial loads. It has been designed such that it can be easily combined with ITEM Profiles, it has 40mm hole spacing. Also it can be mounted in vertical or horizontal manner. 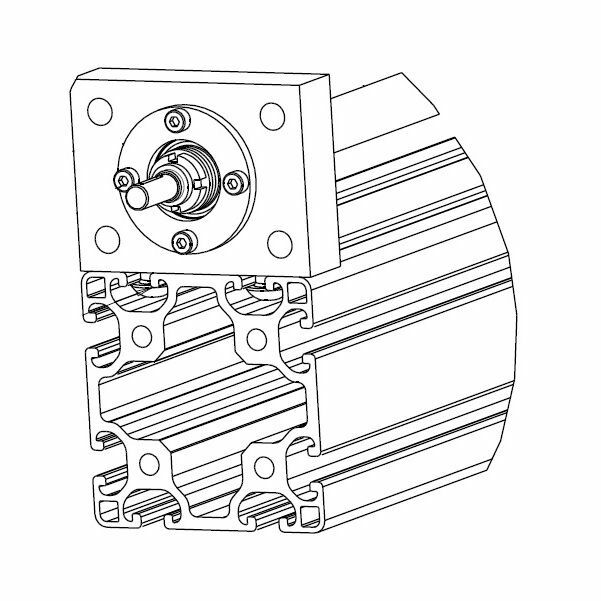 The bearing can be enclosed with the included retaining ring, or when using a NEMA 23 or 34 adapter, its enclosed by this adapter. 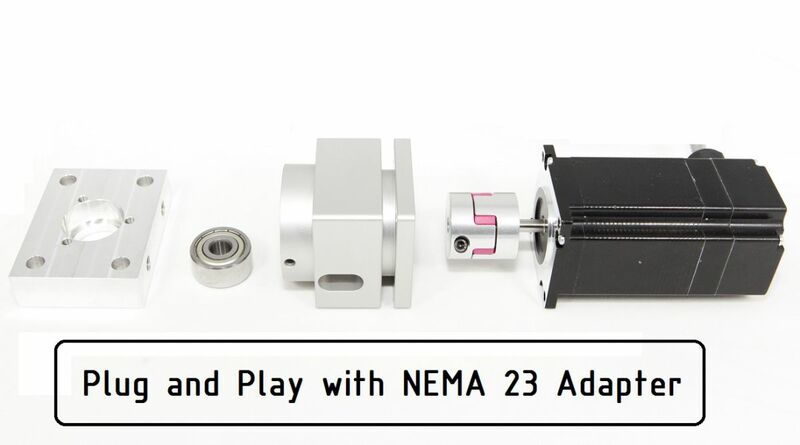 The great thing about this lego like system, is that when you design a machine for NEMA 23 motors, if for some reason in a later stage you wish to switch to NEMA 34. It can be done easily. Only the motormount needs to be replaced with the NEMA 34 version.